2019 marks the 50th anniversary of Apollo 11’s historic Moon landing. 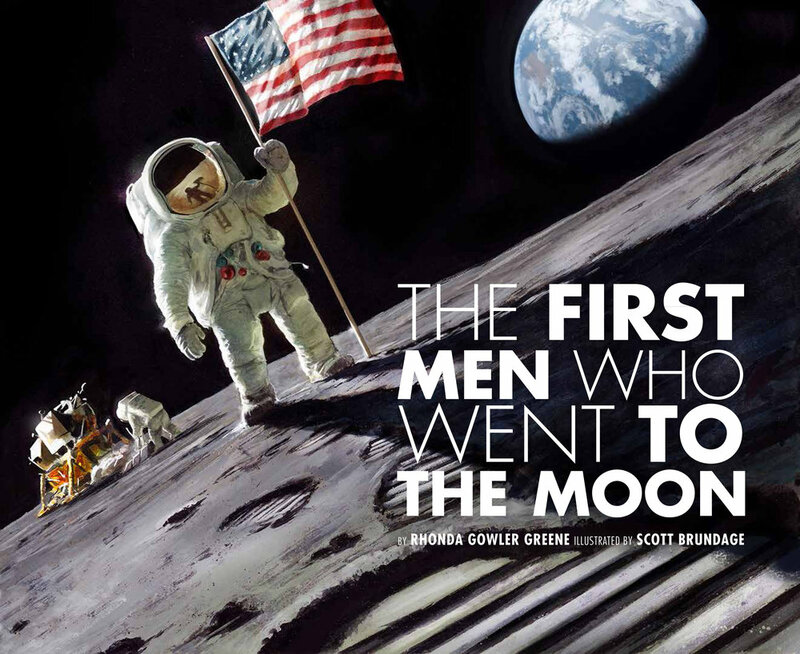 I have a presentation based on my new book- The First Men Who Went To The Moon. It’s great for STEM, or STEAM, curriculum and for A Universe of Stories theme at libraries this summer! how I got the idea; research and revising; and more! Good News! In March 2019, the book landed on the Michigan Best Sellers list. In my powerpoint presentations, I include the following, but get more and more detailed the older the students. All presentations are dynamic and fun! This part of the program especially earns terrific feedback from teachers!! 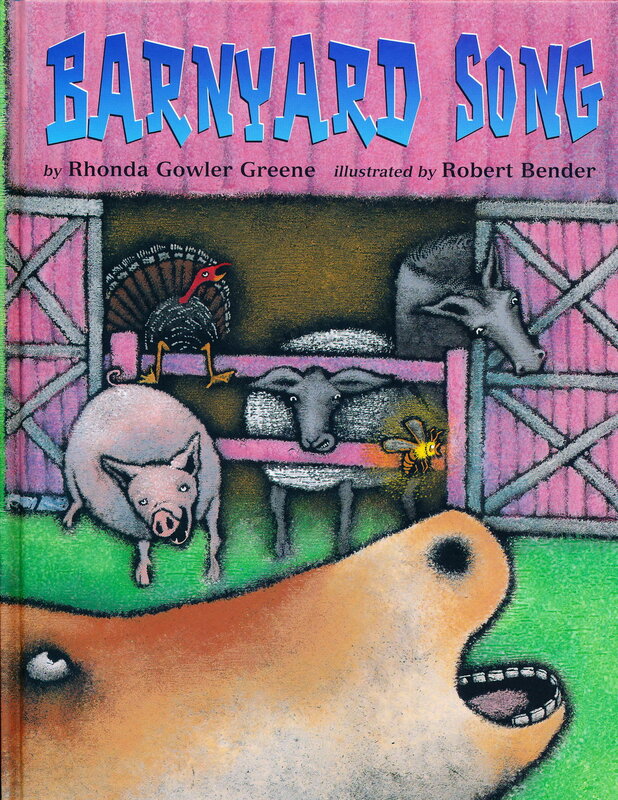 Students participate with puppets as I read Barnyard Song. 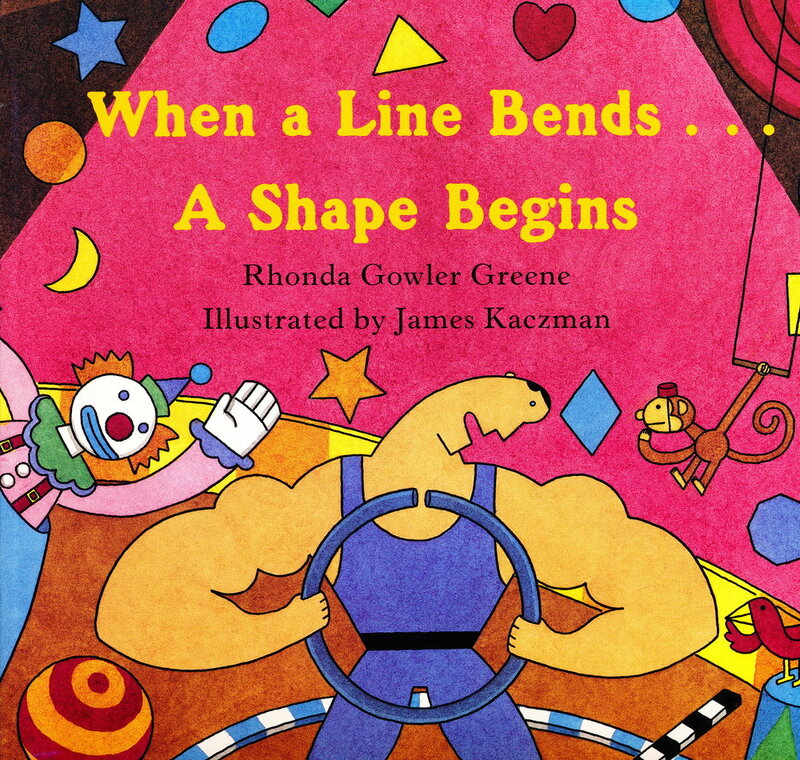 Ten large shapes and a guessing game are used with When a Line Bends…A Shape Begins. African instruments are used with Jamboree Day. And, if time allows - Push! Dig! Scoop! is read/sung from large powerpoint slides. Get ready for fun, oh my! It's always a great visit when students are prepared. A few weeks ahead, get them acquainted with me (website) and my books. Discretion is used at public schools regarding my religious titles. All presentations are very age-appropriate. Maximum of 3 presentations a day; 2 for half-day. I'm comfortable presenting to all group sizes. A simple contract is sent and also a list of things needed the day of the visit. A book order form is available. I'm happy to sign books students have ordered. Standard government mileage rate is charged when driving. Lodging is needed the night before if more than an hour drive from my house. Out-of-state schools can share travel/lodging expenses if I'm booked at more than one school in the district. Fees: My fees are very reasonable. Please inquire regarding them. If you have questions, or would like more information regarding my presentations, just email. For tips on hosting an author visit, see the School Visit Author/Illustrator Wish List. speak to adult groups - reading, library, writing conferences; and keynotes. "Thanks again for the wonderful presentations. I have heard many great comments from staff and students!"